We take Pride in the Quality of our Installations, the Workmanship, and in knowing that we gave our Customers a High Quality Installation that works the way it was designed to, for the Lowest Price Possible! Call Us at the phone number above, Please leave a brief message and how to get back to you, and We Will Get Back To You as soon as possible. Thank You Very Much for your trust in us. Look At Our Online Photo Album Filled With Pictures From Installations We've Done. 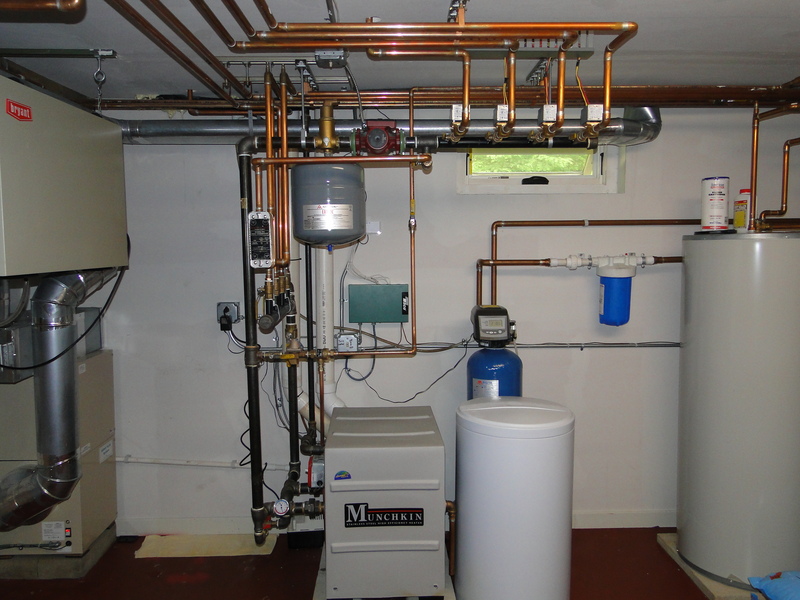 Munchkin Boiler With Zone Piping. Two Zone Floor Radiant System with Isolated Floor Radiant System for Garage. 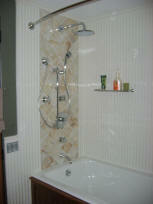 Tub/Shower With Temperature Valve and Individual Valves For Tub Spout, Shower Head, and Hand-held Shower.